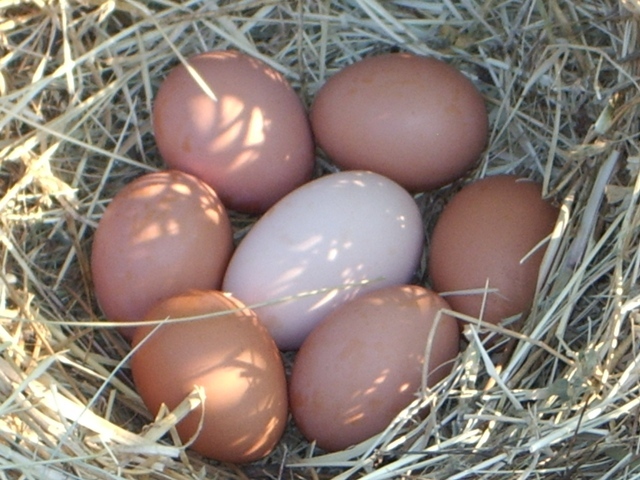 Our hens roam 25 acres of pasture or woods, with endless opportunities to eat and live the way they choose. They have a creek to visit and multiple places to scratch for bugs, take a dust bath or bask in the sun. Their large beautiful eggs have bright orange yolks and are a tasty pleasure to cook and eat, no matter the recipe!